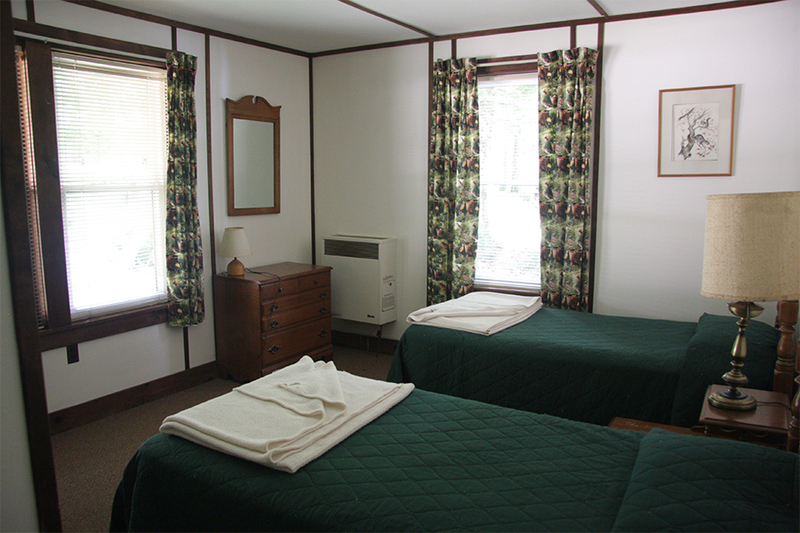 One of the first cottages built at Covewood, Birch has a living room, eat-in kitchen, four bedrooms, and two baths. 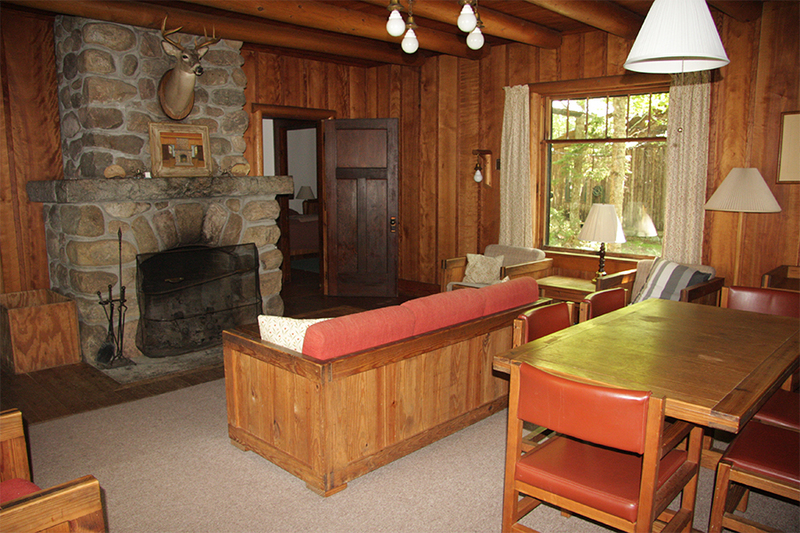 The rustic living room has a gorgeous Covey fireplace, birch paneling, and an oak ceiling with exposed spruce beams. 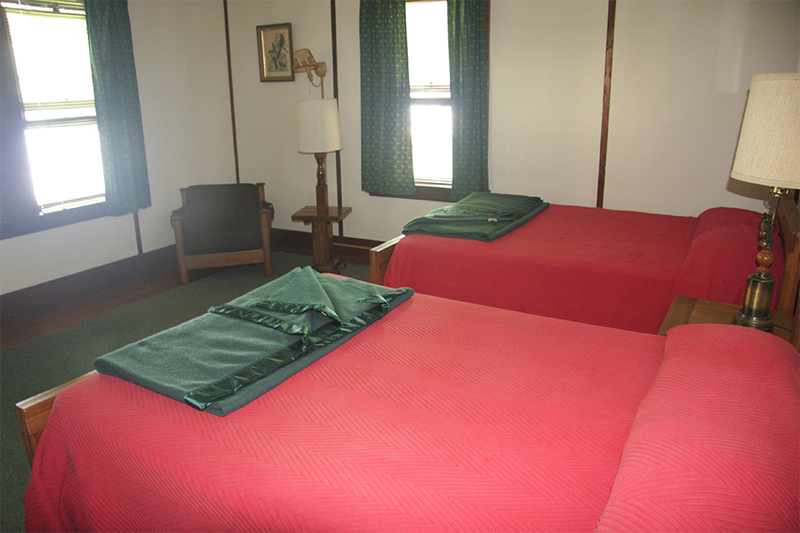 Two of the bedrooms have two double beds each, while the others have two twins each. 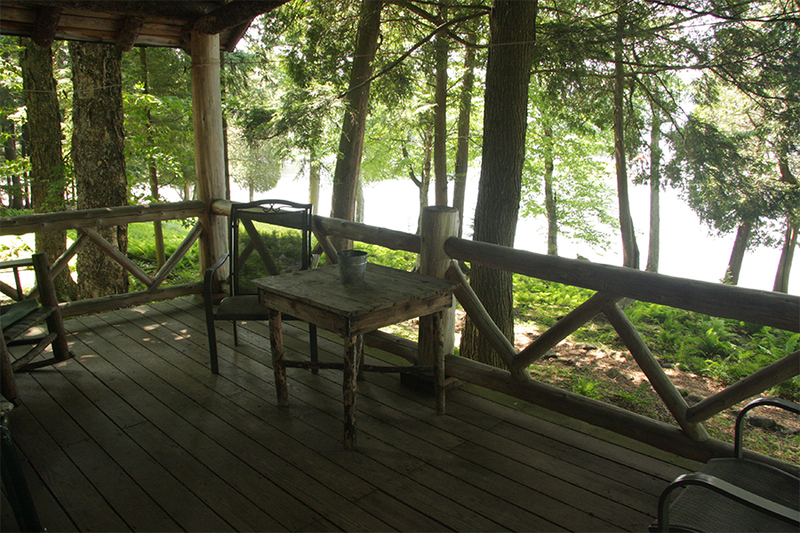 The cottage is located next to the Main Lodge, with great views of the lake from the living room, porch, and two of its four bedrooms. Call for peak season and offseason daily rates. Open late May to October 31. 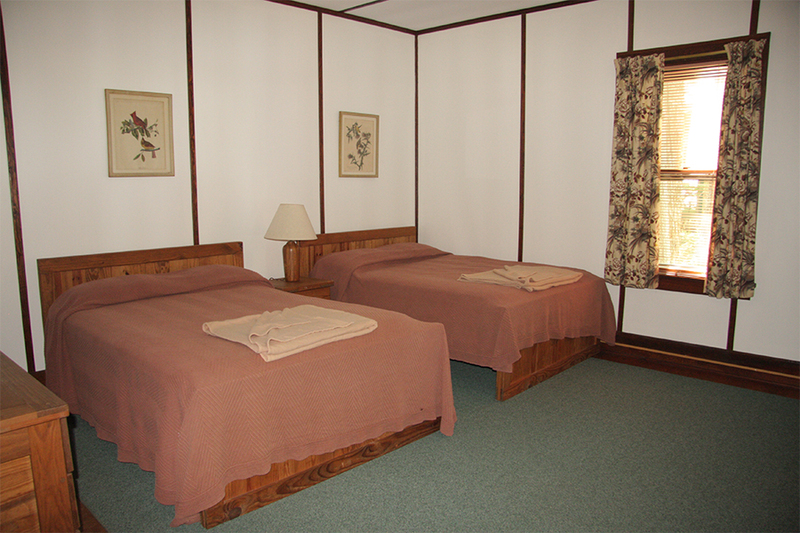 Covewood is located on Big Moose Lake in the south-central Adirondacks. Big Moose is 14 miles from Old Forge. Covewood does not allow pets or jet skis.